Garden seat under “Mr. Yew’s” winter shadow. | What's Blooming at D.O. Garden seat under “Mr. 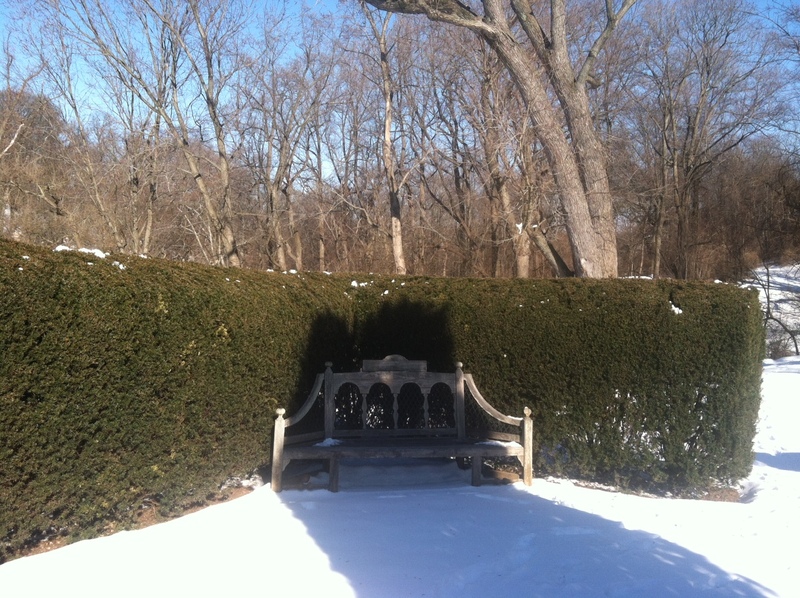 Yew’s” winter shadow.